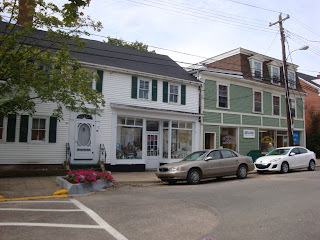 The Annapolis Valley lies in northwestern Nova Scotia, bordered on its northern side by the Bay of Fundy. 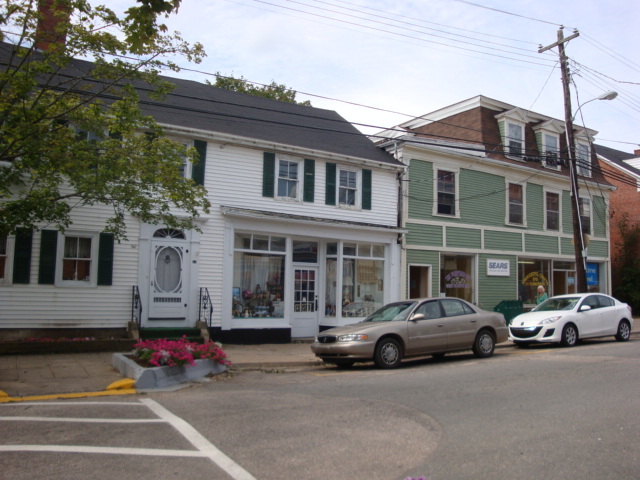 Bridgetown is located at its western end, the last town before Annapolis Royal, with the North Mountain on its northern edge and the Bay of Fundy just beyond. It once was thriving with industry, but today it is pretty quiet. 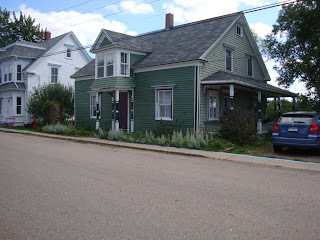 The beautiful old homes, many of them Victorian or Edwardian--a legacy of more bustling days--line Granville Street, the main street through the town. Four are shown below. Bridgetown was originally established as a small Acadian settlement along the Annapolis River in the 1600s and early 1700s. At that time it was called Gaudetville. The rich soils of the river's tidal marshes attracted the Acadians, who successfully drained and farmed the area. In 1755 the British government expelled the French (Acadians) from Nova Scotia and expropriated their lands. Four years later, in 1759, a land-grant proclamation addressed the newly acquired lands. 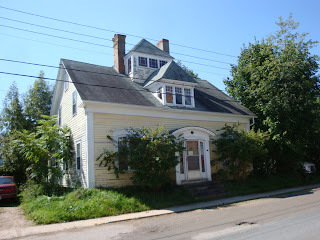 The house below, on Albert Street just south of Granville, was built between 1826 and 1828 and it includes most of its original 90 x 90 foot lot, the only house still to do so. John Hicks began a ferry service to cross the river in the early 1770s, one that continued until 1805 when the first bridge was built. 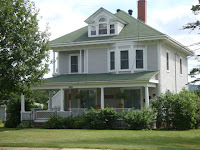 (The area became known as Hicks' Ferry.) 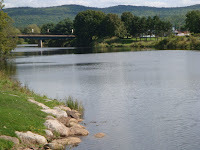 It was the first and only crossing point above Annapolis Royal and it is still the only river crossing between Annapolis Royal and Bridgetown, although there are others today as one heads east. 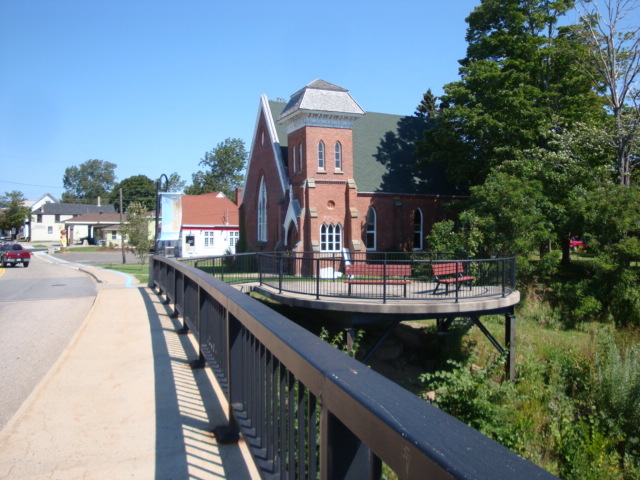 The picture at left shows the present-day bridge from the park on the west side of the town. The one on the right shows the bridge heading south, towards highway 201. That street, the continuation of Queen Street heading to the junction of highway 201, is the oldest continually used highway in Nova Scotia. The present bridge was opened in 1992, the fifth to be constructed. The second bridge (from the late 1870s) was a covered bridge, which was known for its famous sign: "Keep to the Left and Walk Your Horses or You Will Be Fined." 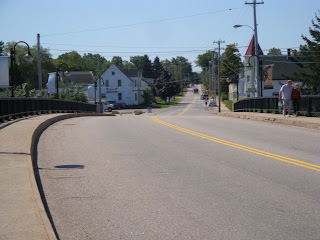 The bridge became a symbol for the town. It was the 1920s before the Town Council agreed that everyone should now drive on the right. 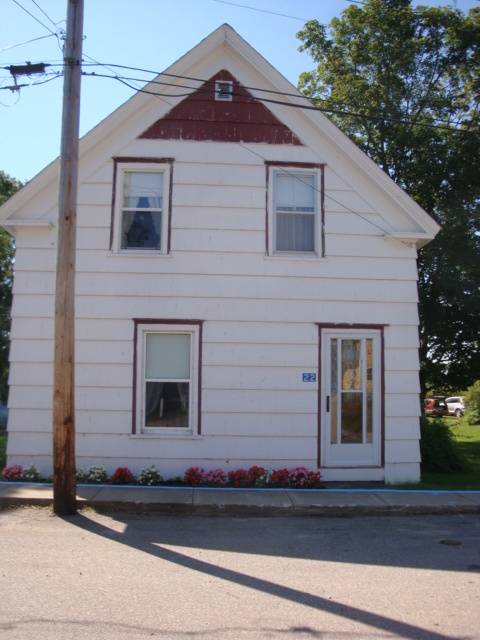 The picture below shows the present day Masonic Hall at the north side of the bridge. (Note the bridge look-off, a pleasant spot to rest on a summer's day.) That building was originally the Presbyterian Church and it was built in 1879 from bricks outside Bridgetown. 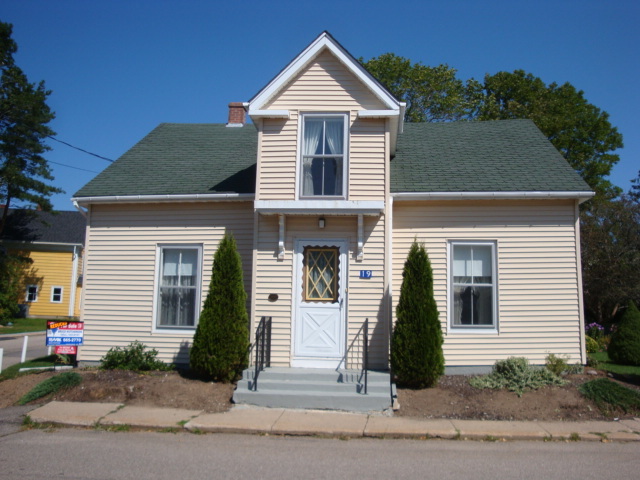 This is a provincially registered heritage property. 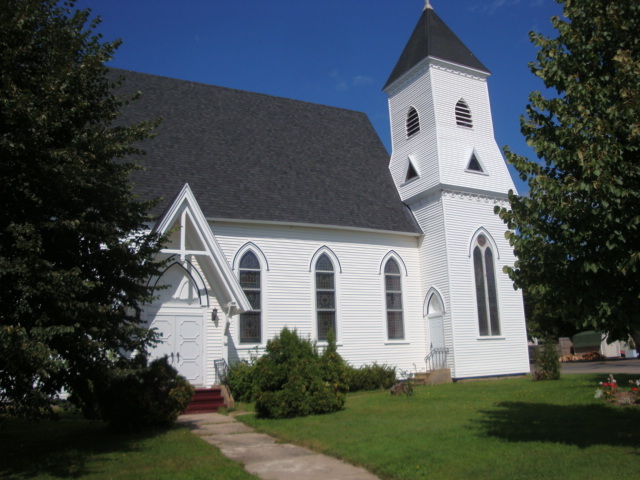 Several of the churches follow: The first, on the left, is St. James Anglican Church, which was begun in 1884, with its first service in 1885. 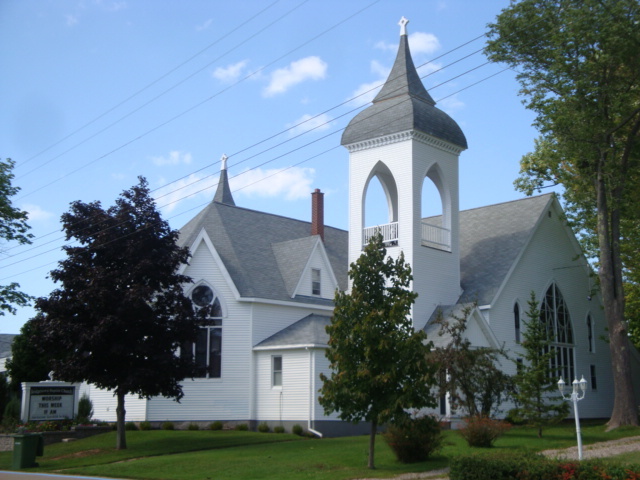 The second, on the right, is the Baptist Church, erected in 1891. Both these churches replaced earlier ones. 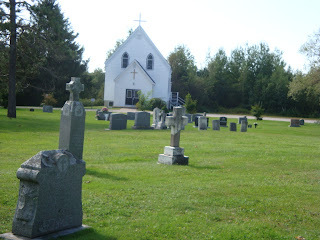 Below left, St Alphonsus Catholic Church and its small cemetery, located on the street leading to highway 201. Below, the United Church, built in 1872. This also replaced an earlier one. The ferry back in the late 1700s and early 1800s transported people and goods. After the bridge was built in 1805, the area remained as a trading and commercial centre and prospered from agriculture and forestry. 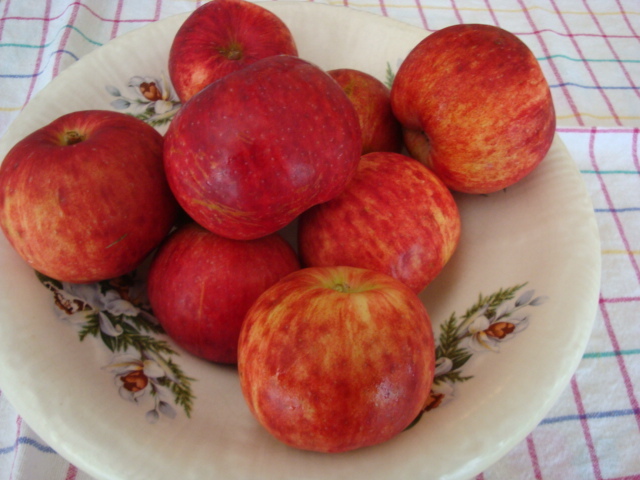 Ship building was important as was the fruit industry, in particular apples and pears. This industrial prosperity lasted for almost one hundred and fifty years. 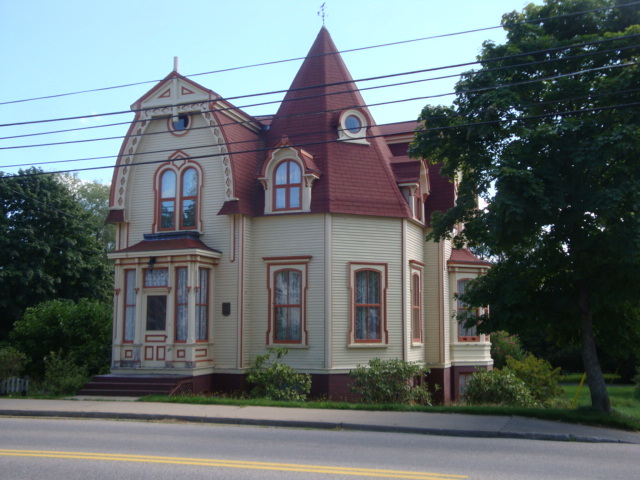 The importance of the river as a shipping route resulted in an era of prosperity, thus the many lovely homes from that period to be admired today . 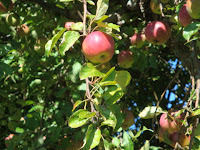 My brother-in-law Laurie's apple tree on the left, one of his 80 trees. 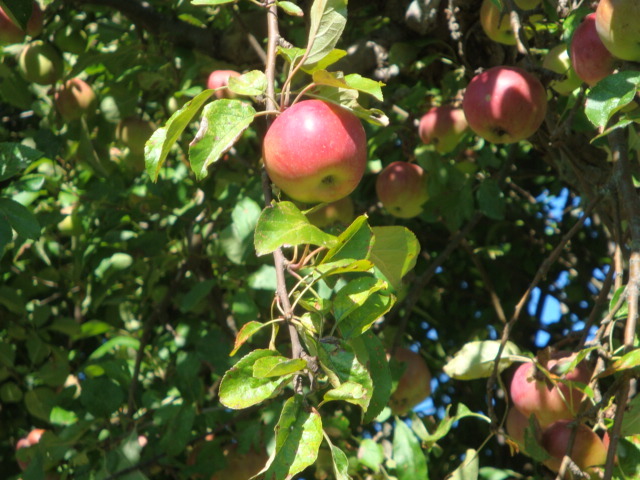 Apples from our own tree on the right, picked not long before I left Nova Scotia to return to Germany. 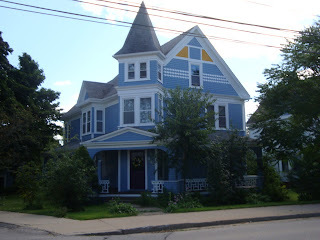 The yellow house is on Granville Street and the brick one, with the look-out windows on top, is located on the street leading south from the bridge. 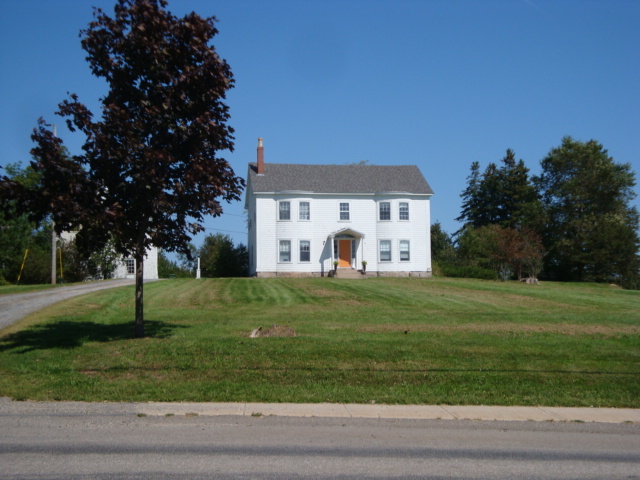 Captain John Crosskill arrived in the area in the early 1800s and acquired control of three adjoining land grants. Their river-front boundary included the bridge. The Captain recognized the importance of this crossing point and believed that a town should be established. In 1821 he designed and laid out a town plan. He surveyed enough to take care of the town's growth for one hundred years, deeding the streets to the county for public use forever. 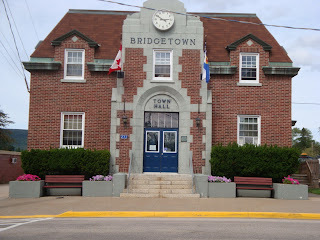 The town was named Bridgetown after its most prominent feature. It was incorporated in 1897. A former owner of Crosskill's house insisted that nothing hinder the view of his house, which faced the Annapolis River below. Today, the house faces Jubilee Park, which edges the nearby river, but the river can no longer be seen from that house today. Below, Crosskill's house, 1815, and located on Granville Street West. 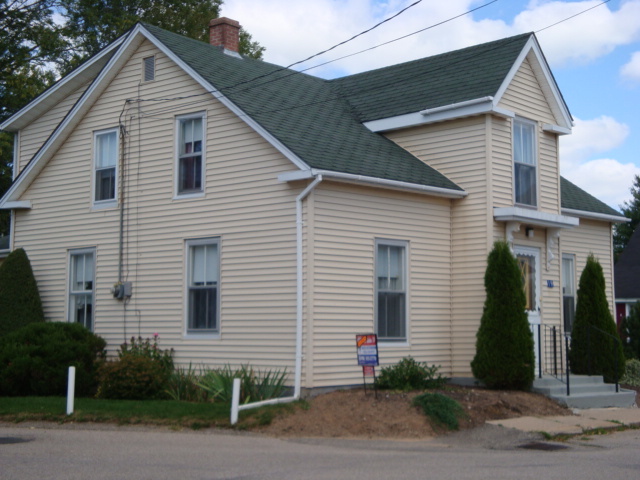 On the left, on the corner of Water and Court Streets, this house was built between 1822 and 1823. 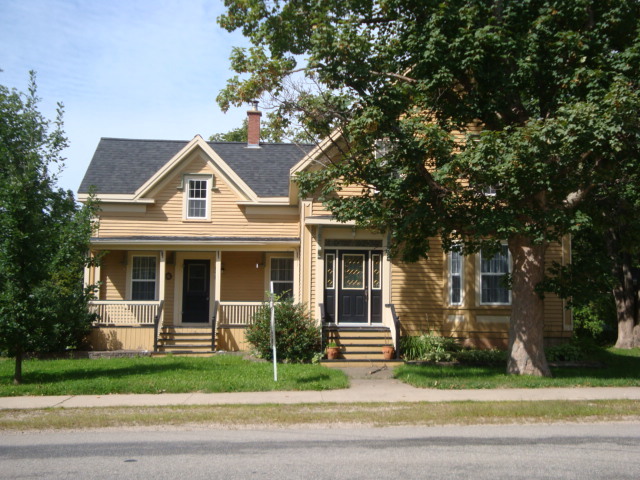 The house on the right, on the corner of Albert and Court, was built in about 1826. 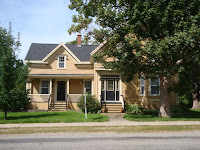 The next three houses are all on Water Street and closest to the river: The house, below left, was built in 1822-1823. The other, on the right, was built shortly after 1825. 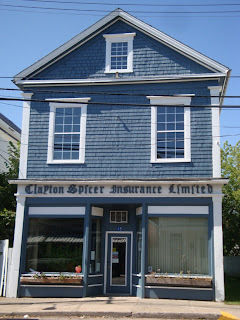 It was originally a public house and a rooming house for sailors. The house below is another of the original homes. 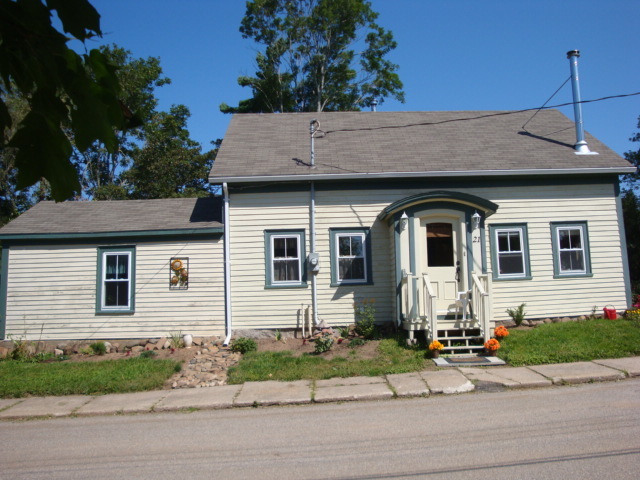 It was built in 1822. It is considered to be one of the oldest of all. 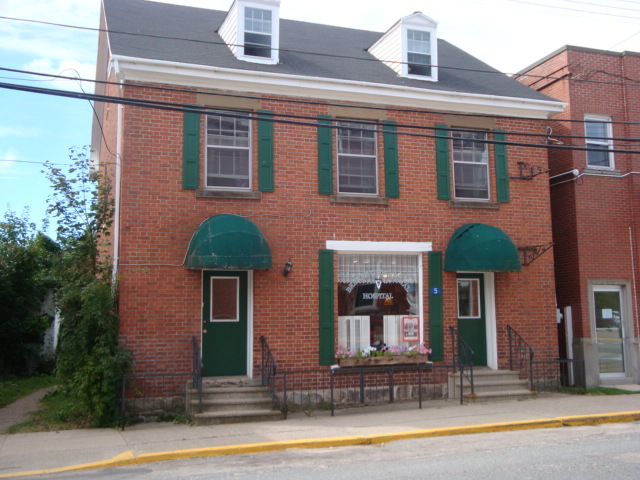 Three buildings on Queen Street in the shopping area were also built in the early 1800s. The green one below (left picture) dates from about 1830. 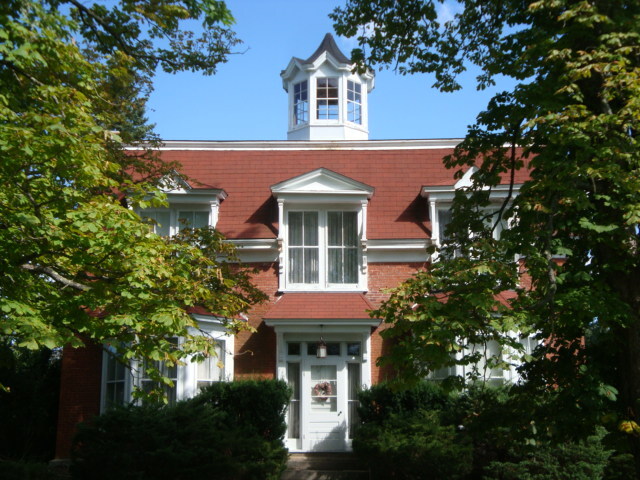 The third floor was added in the 1890s. The white house beside it dates from the 1820s, possibly on Acadian foundations. The store was added in the 1880s. 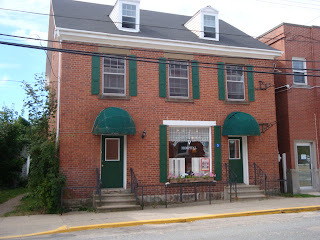 The blue building on the right, a business today, was erected in about 1825. 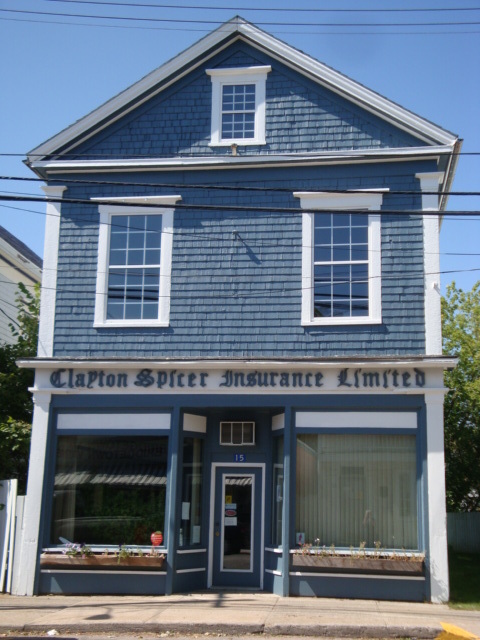 The red brick building below (also on Queen Street) was built in the 1820s and is the oldest brick building in Bridgetown. Today it is a veterinary clinic. 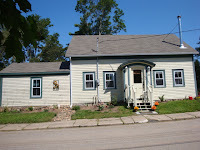 The present day James House Museum on Queen Street was built in about 1835. It features an upstairs ballroom and a five-door gallery. 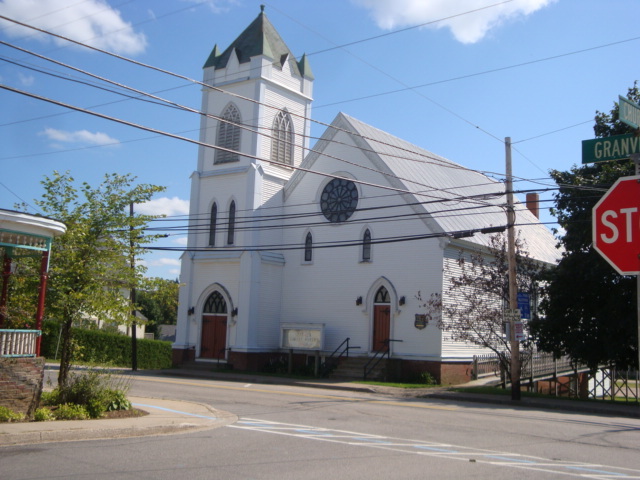 It is maintained by the Bridgetown and Area Historical Society. Admission is free. 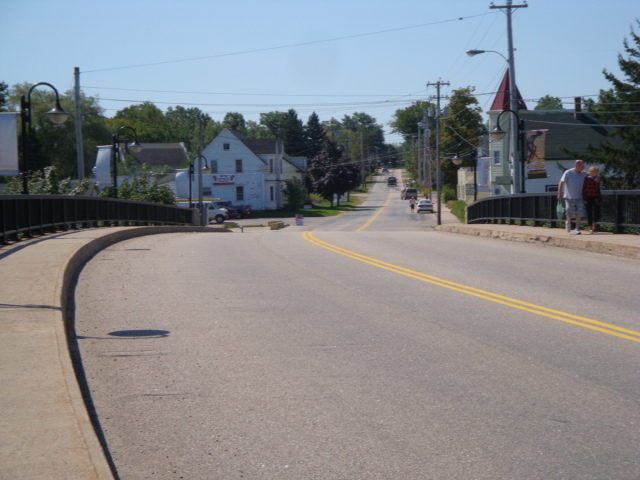 Bridgetown today is a town of less than 1000 residents without the industry it once enjoyed. 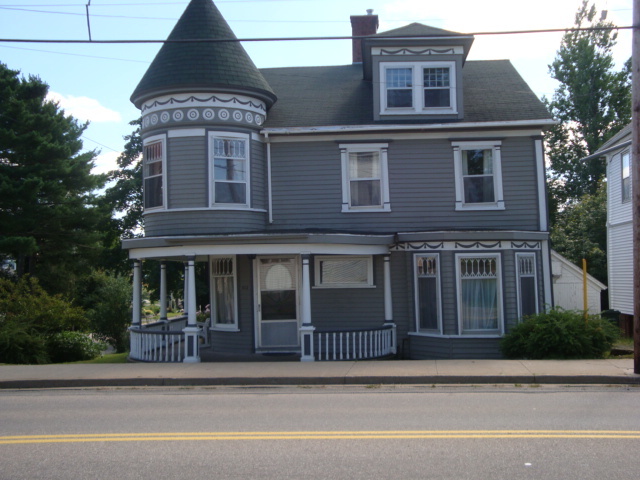 It is, however, still a community of friendly people, set in a peaceful valley not far from the cold water of the Bay of Fundy, where the best scallops and lobster in the world are found. My next blog will show what the town today offers. 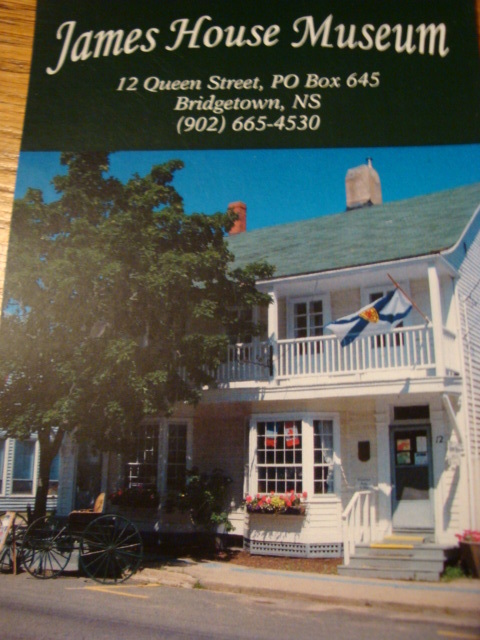 Note: Much of my historical information came from the brochures I obtained at the Tourist Centre in Jubilee Park, particularly from the brochure "A Walking Tour." 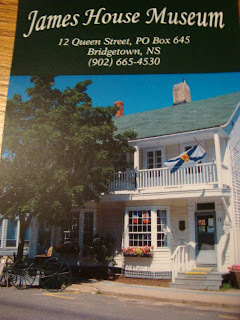 As well, I used Bridgetown's official website (www.town.bridgetown.ns.ca) and the James House Museum brochure. To view the pictures in a larger format, just click on the one you wish. To return to the blog, click on the arrow on the top left corner of the page.